When watching Starz’s upcoming series “Vida,” get ready to see a side of East Los Angeles not usually portrayed on screen. “I grew up in that area, so for me it felt like the world to be able to film there and to be able to present the world to a different side of the East side of L.A. they’ve never really seen. 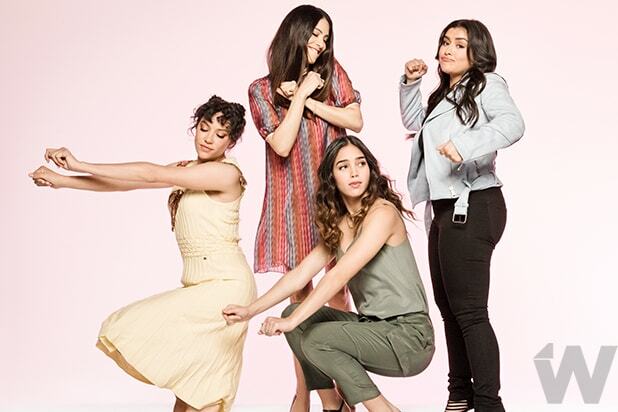 Because a lot of what you see is a stereotypical side of East L.A.,” Chelsea Rendon told TheWrap in an interview ahead of the premiere. Rendon plays Mari, a local resident who is trying to fight gentrification of the neighborhood. “We show the magic in the area and how rich it is in culture. That’s something that is not regularly shown on TV shows,” added Melissa Barrera. She plays Lyn, who returns home after her mother passes away. “It’s an area that’s regularly criminalized, that’s [portrayed as] that it’s gangs and it’s dangerous, but we get to show, like, the real side of it, where it’s just people that have moved here from other countries, looking for a better life for them and their kids and their family,” she said. The Mexican actress added that the area reminded her of home. Co-star Mishel Prada, who plays Barrera’s sister Emma on the half-hour drama and grew up in Florida, said that in her real life it wasn’t until she discovered East L.A. that she felt like she could make the City of Angels her home. “Vida” premieres on Starz on May 6.